Mild weather and a variety of activities draw many visitors to the Peach State of Georgia, especially during winter months. On the outskirts of Savannah, for example, RVers can enjoy the splendors of picturesque Skidaway Island State Park and then tee it up at nearby Hunter Golf Club. Skidaway Island State Park is set on 588 acres and features nearly 90 sites, many with full hookups. Additional amenities include 30/50 amp electrical, water, sewer, restrooms, showers, laundry facilities, and six miles of easy hiking trails. 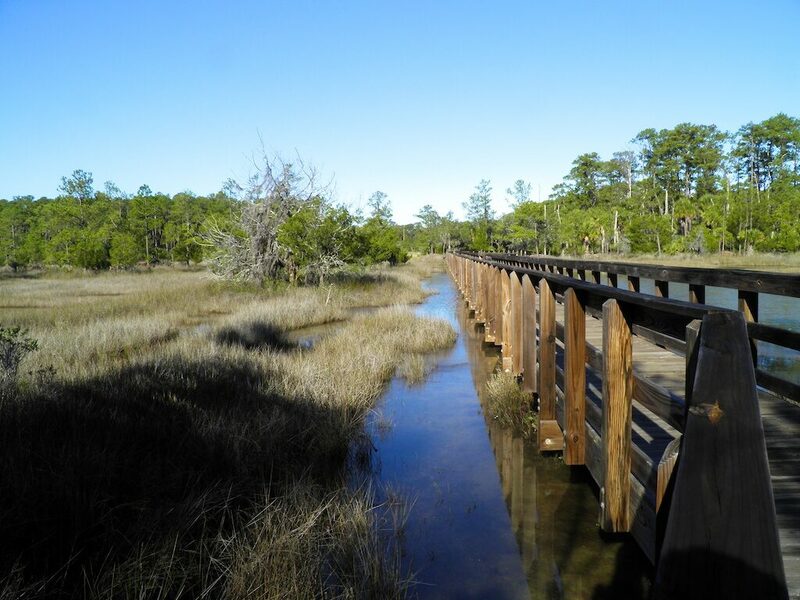 Trails wind through maritime forests and past a salt marsh, leading to a boardwalk and observation tower. This tranquil park borders Skidaway Narrows, which is a part of Georgia’s Intracoastal Waterway. Roughly 10 miles from Skidaway Island State Park is Hunter Army Airfield, home of Hunter Golf Club. This military golf course opened for play in 1967 and is also open to the public. The par 72, 18-hole track stretches to 6,518 yards from the tips. Hunter Golf Club also offers a clubhouse and driving range and is set among sprawling Spanish Oaks and mature Georgia Pines. Most of the fairways are wide, but not too long. In fact, the longest hole on the course is the par five, 16th that plays to 528 yards. Overall, this is a fun and challenging course and the price is reasonable. 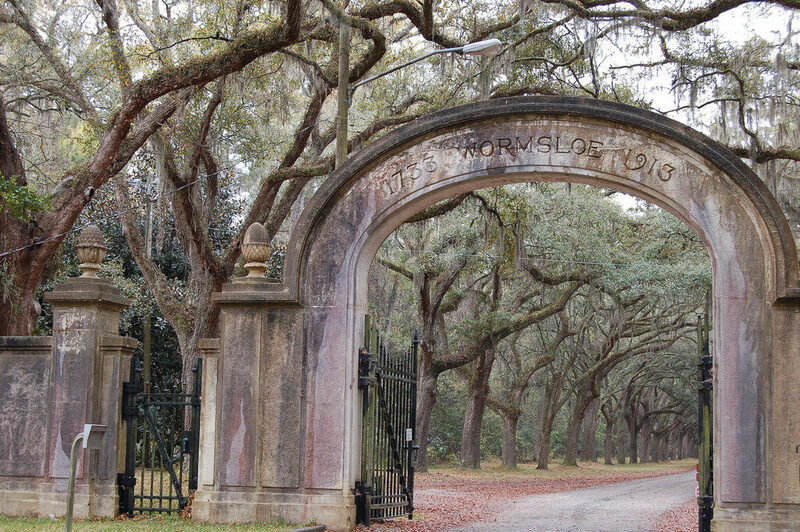 In addition to the history and charm of Savannah proper, a few other attractions worth visiting in the area include the tabby ruins at the Wormsloe State Historic Site. This is one of only about 40 such tabby ruins that stretch from northern Florida up through Charleston, S.C.
Tabby ruins are a concrete mixture of crushed oyster shells, lime, sand, and water, and were used to build noble houses, colonial fortifications, and plantation dwellings in the 1700s and 1800s. A short drive to Tybee Island should be on everyone’s to-do list. Climb the 154 steps of Georgia’s oldest lighthouse—the historic Tybee Island Lighthouse that dates to 1736. You can also explore the island on a kayak or even a bicycle. Both are available for rent. For more information about the local area, check out Visit Savannah. You may also like these 4 State Parks In Georgia That Offer Great Side Trips.